our COMMITMENT | Veterans Management Services, Inc.
As an industry leading government consultancy, a dedicated employer and also as a Service-Disabled Veteran-Owned small business (SDVOSB), VMSI is deeply committed to leading by example, providing unparalleled support services to our customers, creating opportunities & caring for our employees and giving back to our Veteran, military and wounded warrior communities. Ultimately, it’s a matter of delivering on our COMMITMENT’S. Our COMMITMENT’s are founded on the obligations of “Taking Care of Our Own” and is focused on three primary groups: our Customers, our Employees and our Veterans. Our COMMITMENT to our customers is: “To be the Best Decision our Clients Make”. We fulfill this COMMITMENT by ensuring VMSI employees approach each and every customer interaction with the mindset “WHATEVER / WHENEVER”: Whatever the customer wants, Whenever the customer wants it. Our COMMITMENT to our employees is: “To be the Best Decision our Employees Make”. We are keenly aware that happy employees mean productive employees and productive employees mean happy customers. We fulfill this COMMITMENT by providing work environments and opportunities to our employees that meet all their expectations. Our COMMITMENT to our Veterans is to: “Never Forget”. We will never forget the cost for our freedom, our way of life or the opportunities afforded our families through the sacrifices made by our Veterans. 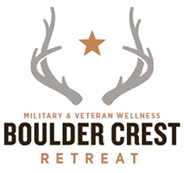 We fulfill this COMMITMENT through monetary donations, fund raising, employee/company donated charitable hours, active participation on the Board of Directors for Boulder Crest Retreat and by hiring as many Veterans as possible. VMSI is proud that over 50% of our employees are Veterans of the US Armed Forces.